Your wedding day will be one of the most important days of your life; it will be cherished forever and we take our role in helping to make an unforgettable day seriously. Everyone at Siam Weddings considers it a great honour to bring your event to life. Since you have chosen to have your wedding in Thailand, it’s unlikely we’ll have the opportunity to meet in person until the day you land here, that’s why we take our time to discuss your vision, your vibe, and pay attention to all your requirements, no matter how large or small. We are great listeners, but also like to jump in with suggestions and will always get a clear and full picture of your expectations for the whole event. 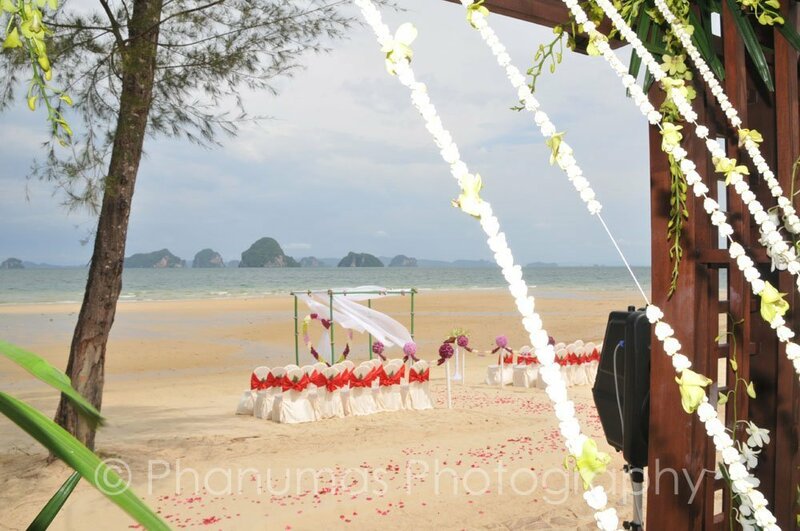 Attention to detail is our passion, which you need for a Thailand wedding planner. Siam Weddings: working with you to plan your big day; the way you want it, providing you with reassurance and peace-of-mind from beginning to end. Your wedding deserves our full attention and energy. That is why our policy is to take on only a few clients each month, so that our team are never overstretched, but instead focused on you. As the owner of Siam Weddings, I can promise to be passionate about creating a happy, organised and fun event. We work on the premise of honesty and openness, and know from experience as a wedding planner that this is the best policy. In a true collaboration with both bride and groom, we promise that you and your guests will have a fabulous time here in our favourite place in the world; Thailand. Also known as The Land of Smiles for a very good reason. Sarah launched Siam Weddings 7 years ago after a 16 year career in corporate marketing and event management in the UK. In the UK she organised many events both small seminars to week long events for hundreds of people. After leaving the UK and making Thailand her home, in 2007 Sarah began to assist her partner, a locally based wedding photographer, Phanumas. 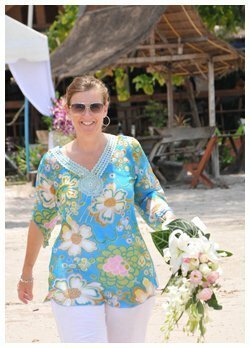 Knowledge of Western expectation levels and ‘fly-on-the-wall’ observations as to how weddings were being managed in Thailand – the good, the bad and the ugly – gave Sarah the idea that her skills and passion would be perfect for wedding planning. With the wonderful surroundings, awesome culture, food, how could anyone not have a fantastic wedding experience in Thailand, the Land of Smiles? It was a natural progression to ‘marry’ these three elements; knowing Western expectations, knowledge of Thailand and lots of event management experience together – and so Siam Weddings was born. My objective is to create a friendly, relaxed rapport with easy going ‘fun loving criminal’ couples with a quirky edge and to gain your trust that I will deliver an unforgettable day the way you want; whilst respecting your values, those around us and sharing a love for Thailand and its beautiful people! 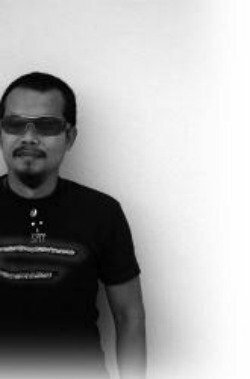 25 years behind the lens, both still and moving images and a degree in photography and cinematography, Mas has the right background. His natural eye to instantly compose a shot and capture a moment in time combined with fact based knowledge and experience of working with cameras, makes him one of the best wedding photographers in Thailand. His calm, laid back approach and photo-journalistic style has served him well with over 100 weddings in Thailand in his portfolio. Not stopping at photography, Mas has used his vast experience as a first cameraman and Director of Photography in television, and takes the same approach to direct his professional camera team to shoot some of the finest and fresh wedding videos in Thailand. Siam Weddings works with a fabulous management team with a ton of experience in wedding and event design & management. This young and energetic team includes event coordinators, event designers, sound and lighting specialists and florists all with a keen eye for detail and over 10 years experience managing weddings and events in Thailand. This team is perfect to handle a small, simple romantic affair or an elaborate wedding celebration for hundreds of people, size is no object. 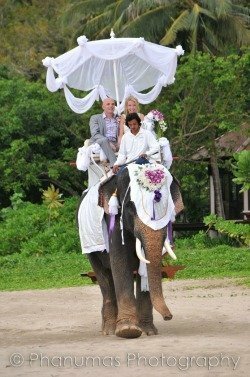 They are the perfect partner for Siam Weddings to deliver both pre-designed and customised wedding packages tailored to suit your wedding day needs here in Thailand.